When the holiday season first rolls ’round, so, too, does the requisite holiday anxiety. “What on Earth,” you may ask, “should I get everyone?” We all know not to nab something they already have, but sometimes, that can seem like a tall order. Luckily, with our help, we think you’ll find something that fits the bill. Picture this: It's mid-December and you're still holiday shopping. Oh, that's your reality? Let us lend a hand with these 21 last-minute gift ideas. They tell us not to live in the past. We say it’s kinda fun back there. Here are some gift ideas that’ll have them smiling like a kid on Christmas morning. For some, the words "holiday season" and "survival" are synonymous. So what's the glue that'll hold you together? We suggest a game to save the holidays and ensure family fun is had by all. The stockings are hung by the chimney with care… better make sure there’s something in ’em. Behold: 17 of our best stocking stuffers, all for $25 or under. We’ve made it to the trickiest friends on your gift list: the practical pals—you know the ones—who prefer presents with a purpose. For adventurous eaters, the average holiday cookie won’t cut it. We put together a secret recipe of gifts to entice the culinary connoisseurs on your list. We put together a list of gifts proud geeks will love—or, should we say, that’ll increase their oxytocin levels exponentially. This round up has a full roster of unique gifts that are sure to score points with the sports fans on your holiday shopping list. Looking for a gift for a book lover? Check out these selections from our library of great gift ideas that are sure to read well with the well-read. From The Today Show to The New York Times, editors are talking about our goods. Check out this list of holiday-gift-worthy press picks. Downward dog. Lotus. Shavasana. We’re speaking her language, and now we’re going to let these yoga-mazing gifts do the talking. It may seem like, well, child’s play to pick out gifts for kids. But in reality, they can be your toughest customers. Unless you have this list, that is. Being apart really can make the heart grow fonder. But what to send to show you cherish staying in touch? One of these gifts that send love long distance. What they say: "I don't want anything this year." What you hear: "BUY ME SOMETHING AMAZING." 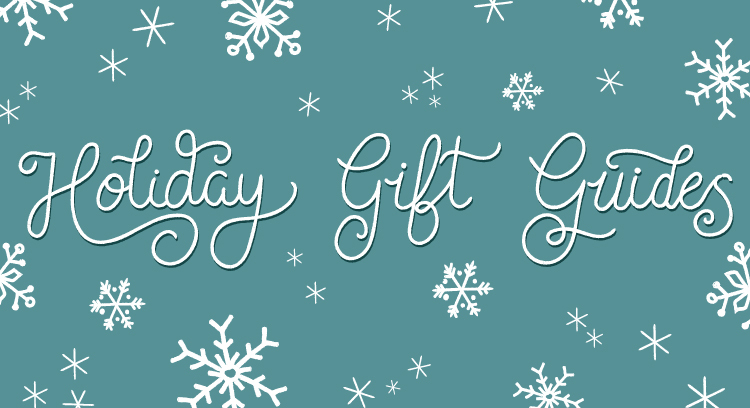 Browse our list of gifts for "no gifts, please" types. Whether you're meeting for the first time or no, it's never easy to know what you should give your SO's parents for the holidays. So let us help you. Here’s to all the plates of cookies, comforting hugs, and advice we get from grandma and grandpa. Say thanks with a gift from our list for grandparents. Know a beer and/or whiskey fan? These gifts can elevate their drinking experience and help them profess their love of brews and booze. Red and green? We’re campaigning to change Christmas’ official colors to red and white with these great gifts for wine lovers. Say a lot with (relatively) little: These gifts max out at $50, so they won't break the bank. Cheers to eating in December! She’s your most wellness-obsessed friend—and thanks to all the gift choices on our list, you can easily add to her self-care stockpile. Stressed about holiday shopping? Fight gifting anxiety with these awesome products that are only available at UncommonGoods. Do you personally know Mr. Impossible-to-Shop-for? Even the fella who seems to have everything will get a kick out of these guy gifts. We picked out 20 of our coolest items for the savvy, curious, flourishing, and fun-loving teens in your life. These gifts will not only be Instagram worthy keepsakes, but also little stamps of individuality during this holiday season and beyond. We all know the #1 holiday rule: Don't get them something they already have. Lucky for you, we've assembled a list of new gifts you couldn't get last year. Here at UncommonGoods, we've got plenty of unique gifts, some of which your tough-to-shop-for lady friend probably hasn't even heard of.